This is my white facecloth after washing my face once with it. 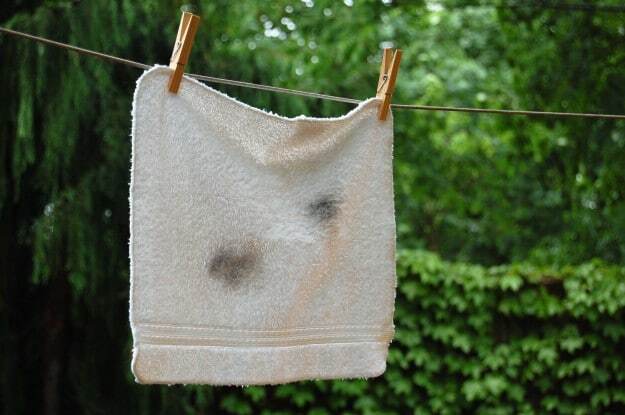 This is my black facecloth after washing my face 14,742 times with it. Do yourself a favour. Switch over to black facecloths today. Yes, you can bleach white facecloths. But that’s extra work. More work. I have enough work. LOADS of work. No more work! Besides, you can’t use bleach in certain front loading washing machines. White facecloths are meant for people who have maids or a laundry service. If you have a maid or a laundry service, please disregard this post. And please send me money. And a pony. Yes, but white can be bleached!! I have both black and white washcloths, but I have kids and my bathroom is decorated with Mickey Mouse, so that’s what goes with the scheme. When I eventually have my own master bathroom I want to do white and cobalt blue. I don’t use them – is that weird? I just use my hands and they’re super washable! I do it several times per day! Of course, television! I wish we had you on tv in the states, I loved that clip you posted a few weeks back! I am actually on the prowl for gray washcloths. So there. Mull that over…will ya? pve: Lands End sells a nice dark grey color for towels. Plus their stuff lasts forever. LOL. A pony. Love it. Agree…. that was the best part…. A pony. Send me one too. I live in Michigan. I agree with you Karen completely. The day I saw my son cleaning his shoes with a light coloured face cloth was the day I purchased black towels etc. for my children; a good idea here for hockey Moms and Dads and wives of Old Timer spouses for the sports bag. = white towelling and pillowcases or horrid bleach marks on otherwise beautiful linen. What I’d love to know is how to dye things that have accidental bleach spots? Pretty please can you figure ut out? I’m in the same boat. I thought it was going to be a great idea when I came across a little black washcloth with the word “make-up” embroidered on it at a B&B. However, I then remembered my poor lavender Hello Kitty washcloth back home turning pink because of the Proactiv. THANK you! I have a B&B and am regulated to use white towels/facecloths in the guest suites. Every season there’s always someone that uses them to remove makeup. What a GREAT idea to have a few dark facecloths embroidered with ‘make up’. 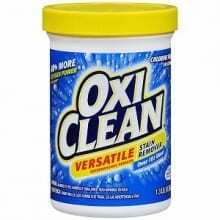 Hi Silvie – I also can’t recommend Oxiclean enough for anything white. Here’s a post I did on it a while ago … https://www.theartofdoingstuff.com/oxiclean-a-whiten-your-whites-experiment/ ~ karen! Thanks for the tip! I’ve fallen into the the constantly-bleaching-my-white-washcloths trap… Switching to black is such a simple solution. I use black face cloths as house cleaning cloths for exactly that reason. I use them to wipe counters, clean windows, clean the floor etc and they stay looking good. The white ones … not so much. I switched to grey because of this! But they still start looking a bit manky after a while. I think you’re right, black is the way forward! But… how do you know when the black facecloth is dirty? Erma Bombeck said there is only two kinds of dirt. The dark kind that only goes on the light stuff and the light kind that only goes on the dark stuff! I hear ya, about the black washcloths. Good solution. … and don’t forget, always keep a red washcloth for all of life’s “owies” because nothing freaks out a kid (or mom) more than the sight of blood on a white washcloth! I always wet one (just barely damp), slipped it in a ziploc bag, and kept it in the freezer. Just holding it to the little cuts and bruises makes kids feel better. Of course, this is not good for any gaping-get-thee-to-a-hospital wounds! PILES of red washcloths if your kids are under, say 10. And if they are under 5 you can roll them diagonally into one long roll with pointy ends, fold it in half, and use a rubber band to make a bunny. Wet the bunny and freeze it in a ziploc! I am not, why does this post say 15 comments but I can only read/see 8 of them. How do I see them all? I prefer white myself, but I can definitely see the merits of black. Fabulous idea! Take that dirty gross children!!! Leave a package of diappy wipes in the bathroom – scrub the worst of the make-up off with those then toss’em – light colored face clothes will not suffer that way! great tip! but on the note you can’t add bleach to a front loading machine: i have front loading machine and only use purex 3-in-1 sheets for washing, but when I need to bleach my whites, I put the bleach in the laundry dispenser (and the softener dispenser, too sometimes) and set the soil level to dirty so cycle runs longer. ooh, thanks. I’ll have to check my manual. I’v had it going on 4 years, hopefully it’s not the case with mine! I’m all about the black face cloths. I absolutely hate the smell of bleach. The smell seems to linger for ever in clothes. I use to hate whenever my mother would bleach my socks, bras, and towels. The same reason I only buy black underwear! I’ve found that if you are real careful doing laundry, like I am, you can turn ALL your white facecloths into grey ones! Taa-DAH, problem solved! I love when a new (to me) word pops up. Today it’s “manky,” from Annika. I plan to use it a lot. We have whole books devoted to “manky” over here in the UK. Check out “Morris the Mankiest Monster” – someone who NEVER worries about the colour of his flannel (face cloth). I also just use my hands. One less towel to wash is worth it to me alone. But if I have a family one day who asks me to buy them face cloths, they might just be black thanks to your undeniable influence on my life. Haha. 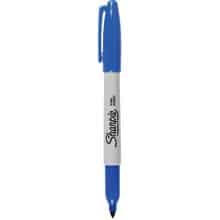 I use the white ones and put up with the stains only because that’s what comes with the product I use. But I wonder how often you change your face cloth? Daily or weekly? Please don’t think I’m dirty by asking! I’m certainly living within your guidelines on this! Lol. I could lie and say I change my facecloth every day, but it’s closer to 5. Probably 3 in the summer when it’s humid. ~ k! I switched to black dishcloths. I take my makeup off with those cloths, so my face washcloths don’t get too stained. And the IKEA washcloths are super cheap and sturdy. But the black/charcoal grey dishcloths get swapped out daily. Wow…I didn’t realize so many people were black/dark washcloth converts. Now if my mom gifts us towels, which she does often since she thinks we never have enough, I don’t worry if its the right shade of blue/green. White always matches white. I too once went on a freak out towel binge and replaced everything with white. I once read somewhere that colored towels and face cloths are bad for your skin. Probably read it on the internet, and as we’ve learned from Karen, the internet lies. I may soon have to do a whole new freak out towel binge. I used to have black towels and face cloths (for my husband’s bathroom), but got tired of black. Now we use mainly white towels (2 of 3 bathrooms). Fortunately, I can use bleach in my front loader, but I do so rarely; it cleans stuff really well. For tough stains on whites or anything else, including grease, I use a Verbena scented bar soap. That stuff is awesome. Try Fels-Naptha. It’s awesome and it’s sold in most American stores. I get it at our local WalMart for $0.96. It’s also great if you grate it and mix it with 1/2 cup Borax and a 1/2 cup Arm & Hammer Washing Soda (all on the same shelf). Put 3 table spoons in for a large load of clothes and you’re ready to go. Also try 1/2 cup of white vinegar as a fabric softener. Awesome! I don’t use bleach, ever and have never had a problem w stains like that. My white washclothes still look new. Are you using industrial strength makeup? 😉 Also, worth mentioning tho slightly off subject, I have been using a mixture of EVOO-castor oil and a drop or 2 of tea tree oil & lavendar oil to clean my face and it works beautifully and my skin has never looked better in 35 years! 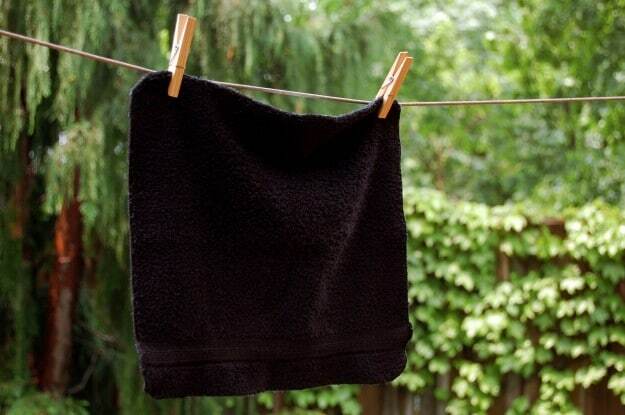 I am totally switching to dark washcloths! I’m not sure why this never crossed my mind before! I always get a kick out of staying at a hotel and not having to worry about my makeup on the facecloth! Oh, the luxury! That’s funny and so true. One of our favorite places to stay in Palm Springs actually provides a nice white washcloth and a grey’ish/purple’ish washcloth for ladies to use to remove make-up. I thought it was a brilliant idea, but never thought to use the idea at home – go figure. I have noticed that depending on which face cleanser I use, the makeup will either wash out of the facecloth or it won’t…not sure which ingredient(s) cause that to happen! I usually use Marcelle Gentle Foaming Wash and the makeup always washes out with that one. I don’t use chlorine bleach either; if I have to use something, I use the oxygen bleach stuff because it’s way less toxic. The black facecloths are a great idea though! Inspired! I’ve been using dark green or dark blue for that very reason. Another inspired tip: I used to wash them, fold them, use them, repeat… I no longer fold them (gasp). They just get washed/dried and thrown into a small drawer for just face cloths. Folding? Too much work! Katie – I have the same theory for thong underwear. Have you ever tried folding a whole drawer full of thong underwear. omg. As for the facecloths, I have to fold them ’cause I don’t have anywhere to put them so they get folded on a shelf in the bathroom. 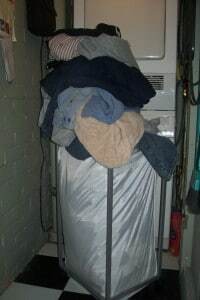 Ah the joys of living in a billion year old house with no closets. ~ k! My thought is to buy a basket/storage box for your shelf and throw the face cloths in the box. I used to love how they looked folded and all lined up with the folds in the same direction. However, once you stop folding them, you will NEVER go back! Trust me. It’s the little things in life, isn’t it? But what if you’re burgled? Bahahaha! This one made me laugh out loud….I have two boys, dirty boys and white towels. Do you see where I am going with this? The best gift my mother the clean freak ever gave me? Two black hand towels for my kitchen bath. They always, always look clean and no bleaching needed. And why does bkeach not work like it used to???? Remember when eveything came out white and brand spanking new looking? Or is that my age showing??? Black, blue, whatever; one of my face medicines ALWAYS leaves bleach spots on the wash clothes and face towels… I have an old towel that looks pink/purple that I swear was once blue, and my blue ones are heading that way. Which is sometimes why I think I should switch to white. Even better – Bleach safe brightly colored towels and washcloths. I’m a hairstylist and I always order towels you can buy at bleachsafe.com . Most salons use these so that the towels can be bleached but won’t lose their color. I’ll wash a towel every day for a year, with bleach so as to disinfect yet save on hot water, and it will still be bright. If you only use bleach every once in awhile, you won’t even have that problem. I’d be interested to hear how many of your readers give it a try. My suggestion for accidental bleach spots on black is to dab the area with PERMANENT black marker and let it dry. You may have to repeat this a few times. I had a small bleach spot on a pair of cotton shorts and although it wasn’t a perfect fix it did cover the mark fairly well. Like a light went on… in my soul. Or out. Man, I’ve always loved white for the freshness of it. But recently my kitchen went black. Might be time for the bathroom to do the same. You’re not RUBBING YOUR EYES with those things are you? Oh! This made me laugh. So true and at the same time so funny. Thanks for the tip and the laughs! Karen, I love how you turn a subject that seems so obvious and make it into a crazy long discussion. I’m all about the dark towels, sheets, facecloths, t-shirts, underwear (is this too much information?) because I don’t have to bleach them and I can wash everything together almost one-million times. And my husband is a mechanic so, sometimes there is extra dirty dirt. Genious! Same goes for sheets unfortunately, I prefer white, but husbands are so sweaty and I don’t use bleach. I just had a duh moment. I am so ashamed at all the white cloths I have damaged, when just 1 black cloth would have made a huge difference! LOL I guess we live and learn, from your fantastic blog! This is so funny…I am a “white” girl and a bleach-a-holic, that is probably not good…but I like white washcloths, towels, and sheets. I have 5 kids and 4 of them boys, big dirty boys!!! !I should probably buy some stock in Clorox!!!! This was a fun conversation!!! Also a good idea if you have kids who injure themselves (like kids do). A dark wash cloth over a bad cut doesn’t show blood and keeps the hysteria over an injury down! Well, shoot. I’ve been buying supplies for my move to off-grid life, and I bought white towels. Somewhere waaay back in my mind the thought crossed that white wouldn’t be the easiest to clean (in an admittedly dirty lifestyle), but I disregarded it. The pretty white called to me with it’s siren song – “look at meeee, so clean and pure…you must surround yourself with my pristine whitenessssss”….and I listened, and I bought. I guess I’ll be replacing them with black ones at some point, heh. OR, I’ll dye ’em! Yeah! You are so far ahead of me! Just discovered another use for coconut oil…makeup remover. You only need about a heaping teaspoon. It melts when contacting the skin…economical and good for your skin. Now my white facecloths are spared the mascara and foundation stains! That’s great to know! I’ll give it a shot because for whatever reason my eyeliner won’t stay put on my eyes during the day but once it’s time to officially take it off, it’s stuck for life. I’m going to try it tonight, Mary Lynn. ~ karen! Red washcloths are necessary with children. Why? You cannot see the blood when the little darlings get hurt. When the child sees blood on the washcloth; the kid screams louder. I know, I have five children and now seventeen grandchildren. No, I do not want a pony. Too much work.